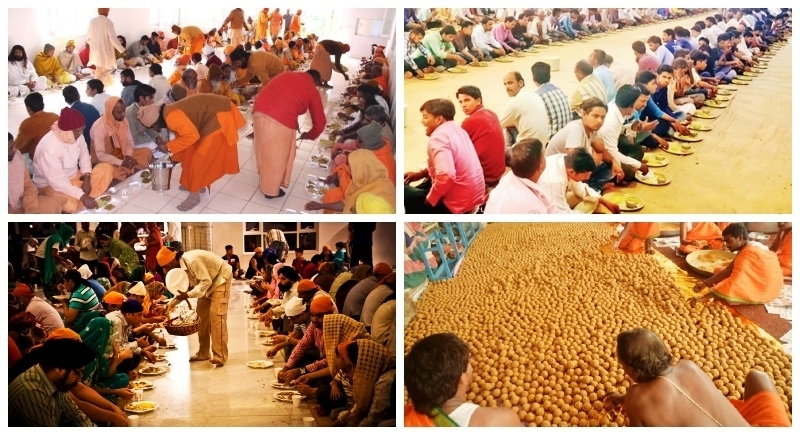 New Delhi, June 2: The Charitable trusts who provide Food/Prasad/Langar (Community Kitchen)/Bhandara free of cost without any discrimination to Public/Devotees, for them government has introduced a new scheme named ‘SevaBhojYojna’ in which envisages to reimburse the Central Government share of Central Goods and Services Tax (CGST) and Integrated Goods and Service Tax (IGST) on purchase of raw items such as ghee, edible oil, atta/maida/rava/flour , rice pulses, sugar, burra/jiggery etc which go into preparation of food/Prasad/langar/bhandara offered free of cost by religious institutions. The Ministry of Culture, Government of India has introduced this scheme with a total outlay of Rs. 325.00 Crores for Financial Years 2018-19 and 2019-20. The objective of the scheme is to lessen the financial burden of such Charitable Religious Institutions. Ministry of Culture will register the eligible charitable religious institutions for a time period ending with finance commission period and subsequently the registration may be renewed by the Ministry, subject to the performance evaluation of the institutions. The details of registered institutions will be available on an online portal for the viewership of public, GST authorities and entity/institution itself. The entity/institution will be permitted to submit the reimbursement claim of the GST and Central Government share of IGST to the designated authority of GST Department at State level in the prescribed format during the validity of registration. It would be the responsibility of the institutions/entity to intimate the Ministry about any changes being made in Memorandum of Association, Office bearers or addition/deletion of the location of the free food services.